La Pantera Negra has 4 separate suites, each with its own private bathroom including a large shower, hair dryer, flat iron, hot curlers, and high quality 1000-thread sheets for each bed. Also included are breakfast, parking, terrace, pool, lounge and fast free-access internet, a flat screen and mayan hammock. Guests can borrow DVDs from the Library. Each room has been decorated differently; most of them have 18-foot ceilings and French floor tiles. Prices are for 2 person per room, maximum 2 persons per room. This suite has 18 foot high ceiling, amazing French tiles. This suite includes a Queen size colonial bed and access to the TV room. There is a complete bathroom with an urban style shower and cabinet. You will have wireless fast speed internet. This suite offers a Queen size bed, 18 foot high ceilings and antique French tile floor. There is a private large bathroom, urban style shower and double sink. 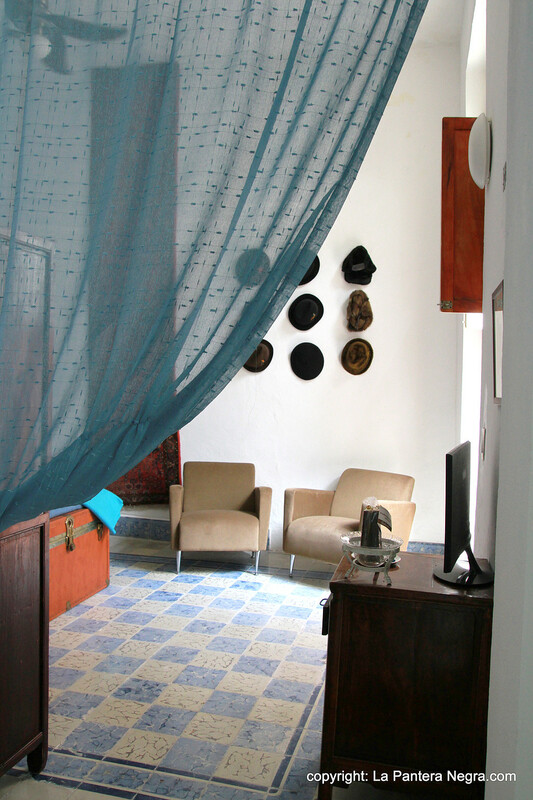 You will find a mayan hammock, a large flat screen TV, Dvd player and wireless fast speed internet. This suite combines a Queen size bed with direct access to a private garden near the pool. There is a private bathroom, urban style shower and double sink. You will find a mayan hammock, a large flat screen TV, Dvd player and wireless fast speed internet. This suite has a Queen size bed with direct access to the pool and garden. It is located in the old Library with large windows on the patio and the pool. 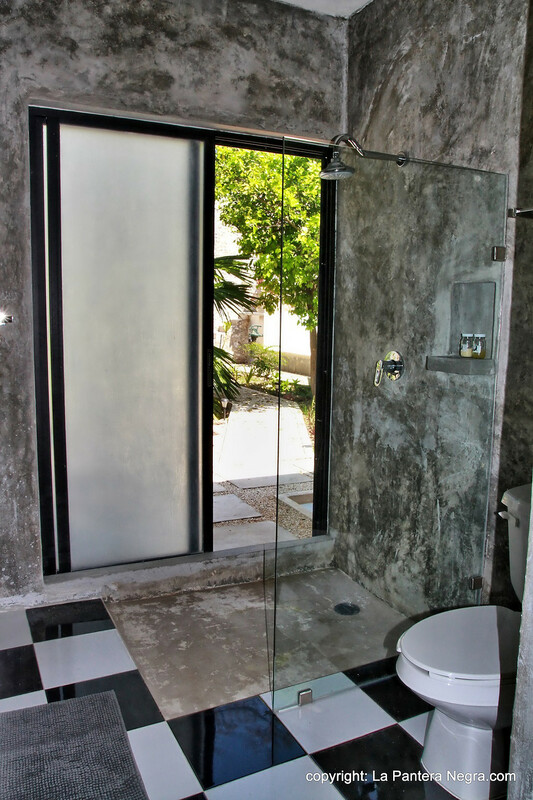 There is a private bathroom, urban style shower. You will find a mayan hammock, a large flat screen, Dvd player and wireless fast speed internet.